"From tiger fierce to snail slow, there are lots of ways to feel and be. 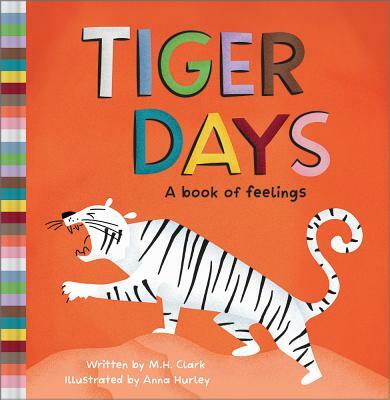 A walk through the menagerie of Tiger Days helps young readers see all the feelings they have and the ways those feelings change. Through playful rhymes and colorful illustrations, this spirited book gives children new tools to understand the range of their emotions and express themselves to family, teachers, friends, and themselves. Tiger Days was written by M.H. Clark, bestselling author of You Belong Here and Tiny, Perfect Things.